Bare naked wood. We can’t get enough of it. Wood needs no paint, varnish or dressing up. It’s beautiful in its most raw, natural state. But don’t confuse raw with rustic, wood needn’t be reserved for backwoods cabins. That’s why we’ve dug up ten houses that have stripped away artifice and emphasized the best of this natural material. Let’s get naked! The owners of the Open House were seeking a space that would be an extension of the surrounding garden. 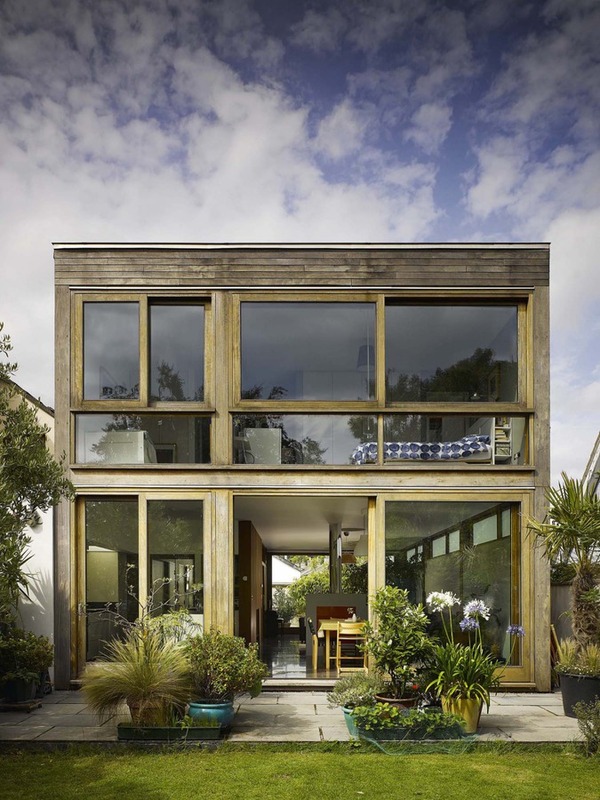 Irish architect John McLaughlin used large windows to bridge the gap between interior and exterior and chose a raw timber structure and cladding for its insulating properties and natural feel. 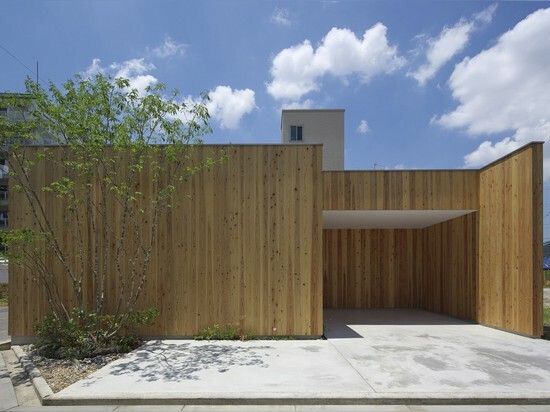 To preserve the privacy of its occupants, the architects at Japanese firm Arbol Design surrounded the House in Nishimikuni with an opaque cedar plank wall that pays homage to the wood’s extraordinary color and grain. Okay, so we said that wood isn’t just rustic, but sometimes rustic is grand. The Crow’s Nest is a ski resort in California that pairs naked wood with naked concrete for a modern chalet. Naked takes on new meaning with Swedish firm Elding Oscarson. 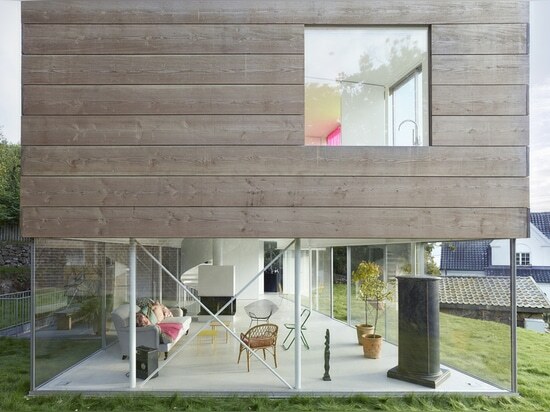 The ground floor of Mölle by the Sea is entirely transparent, while the upper level boasts a one-of-a-kind facade that is clad in ultra-wide, saw-finish douglas planks. This house has (almost) nothing to hide. Located on the beach in Victoria, Australia, the minimal T-shaped layout of the Great Ocean Road House offers ocean views to the entire house. The greying silver ash cladding completes the natural, casual-cool vibe. 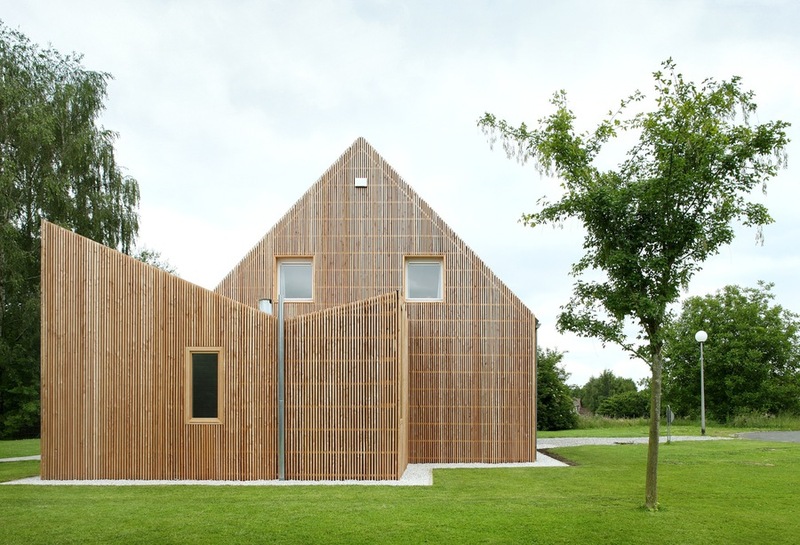 For a housing extension in Anderlues, Belgium, the architects at adn Architectures grafted a simple wooden cabin onto the existing house. 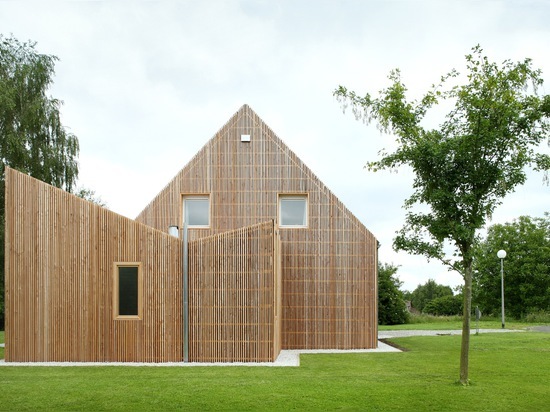 The ‘V’ shape of the structure is an inverted imitation of the home’s existing roof, and the wood adds a contemporary feel to its original masonry. 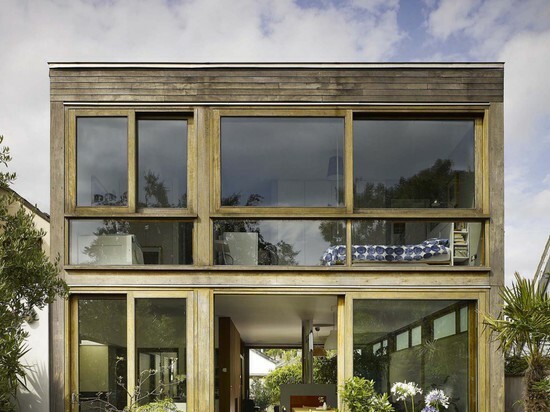 Belgian architects Bruno Vanbesien and Christophe Meersman not only clad the entirety of the CM house in tropical hardwood, they also used it on the roof! From the front, the wooden facade makes it appear as if the home is only two storeys. The residence opens up with large windows in the back, revealing its true character. Villa Chiberta is nestled in the pine forests of western France. 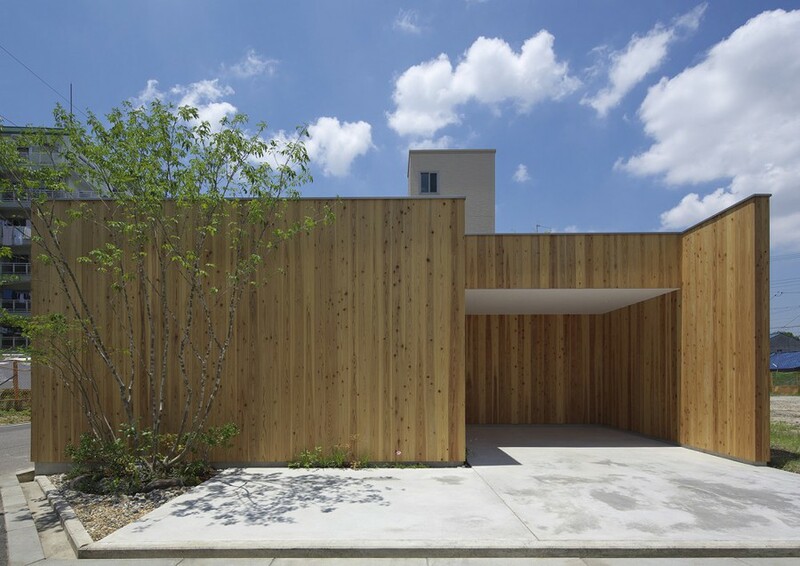 The architects at French firm Atelier Delphine Carrère chose wooden batten for the exterior cladding because the vertical wooden lines trace the surrounding trees. The architects at Bernd Zimmermann Architekten are known for the funky designs, including a mirror-clad house, but House A is a minimal, subdued design located in Haigerloch, Germany. 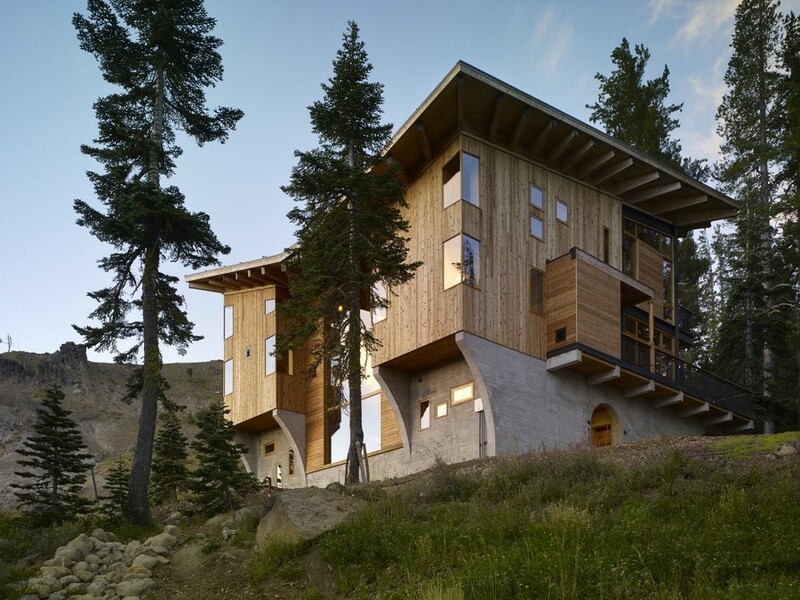 The split-level design allows for exceptional views of the adjacent mountain range from any room in the house. 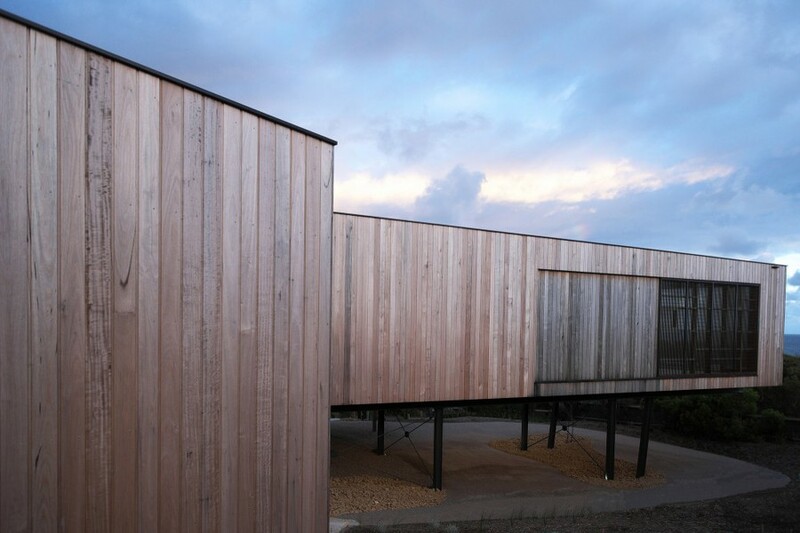 The bare timber cladding further accentuates the simplicity of the home’s geometric forms. 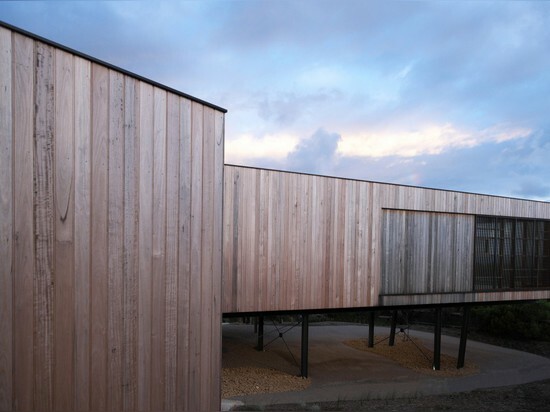 For this beachside construction in New York, the architects at Bates Masi used a wooden boardwalk as the unifying feature. The wooden pathway not only links the separate buildings together but also unfolds to become the floor, walls and roof of the residence.